I will be doing a workshop in Mullumbimby on the 10th of November. There will be a Hilal BodyWork warm up to start and then some exploration of the basics of Hilal Dance with live drumming then loosening up with some traditional Nubian music and then separate drum workshop which will focus on the use of drumming for dance – what rhythms are used, how they fit together and how to work together as drummers and dancers. Come for one or both. The dance will be lead by both Mohani and I and I will lead the drumming. 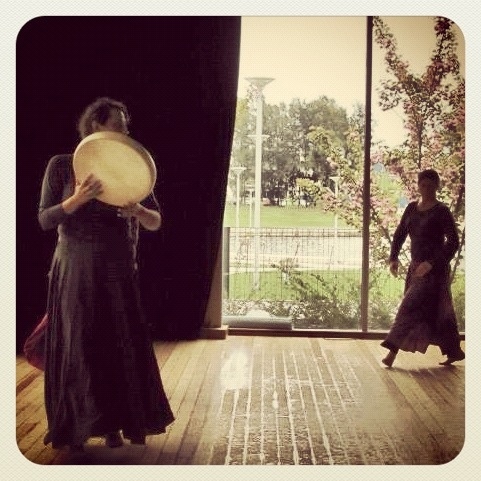 Always such a treat to dance and drum!!!! Would love to see you there ! I am really looking forward to September- October as I am heading off for adventures & workshops. 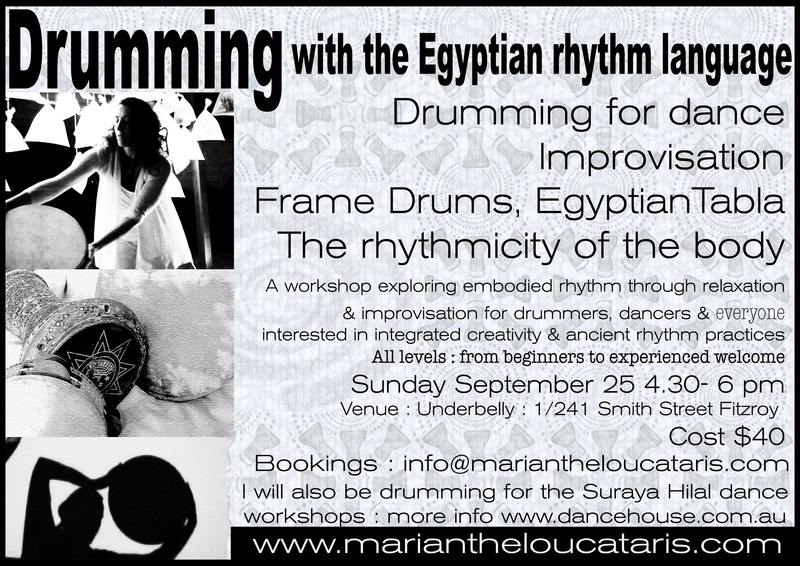 I am running drum workshops in a slightly new format: Focussing on rhythm in the body & doing work which is of benefit for drummers, dancers & anyone interested in integrated creative expression & ancient rhythm traditions. There are more details on facebook here or leave me a comment below this post.